Today we have a little break from our gift guides (though this would make a lovely gift), and I have some super cute products from Erikazpawz to share with you! We were very kindly sent a full set in the Sienna plaid fabric, and the orange just looks so gorgeous on Archie. The set includes several pieces: first of all there's the little jacket, which is secured with velcro around the chest and under the belly. It's nice and lightweight, perfect for autumn especially! 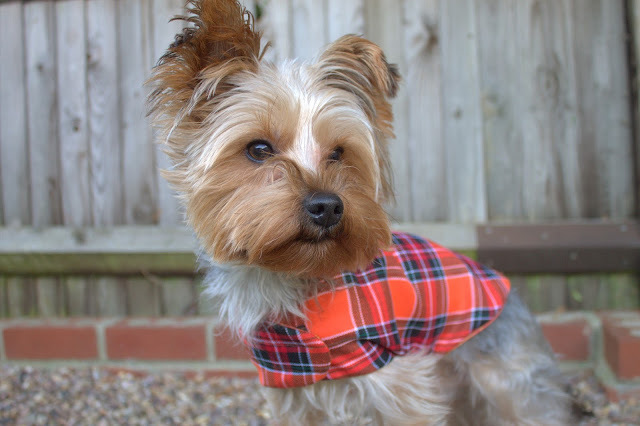 These coats can be made to measure, but Heather also stocks standard sizes which is handy. You can also specify whether you'd like a harness hole, which I love. I never, ever walk Archie on just a collar, so this is a fab feature for me. Next, there's the "Before and After" poop bags. One is a poo bag holder, which opens at the side for you to pop a roll of bags in! It has a handy opening at the bottom so you can pull them out easily, too. 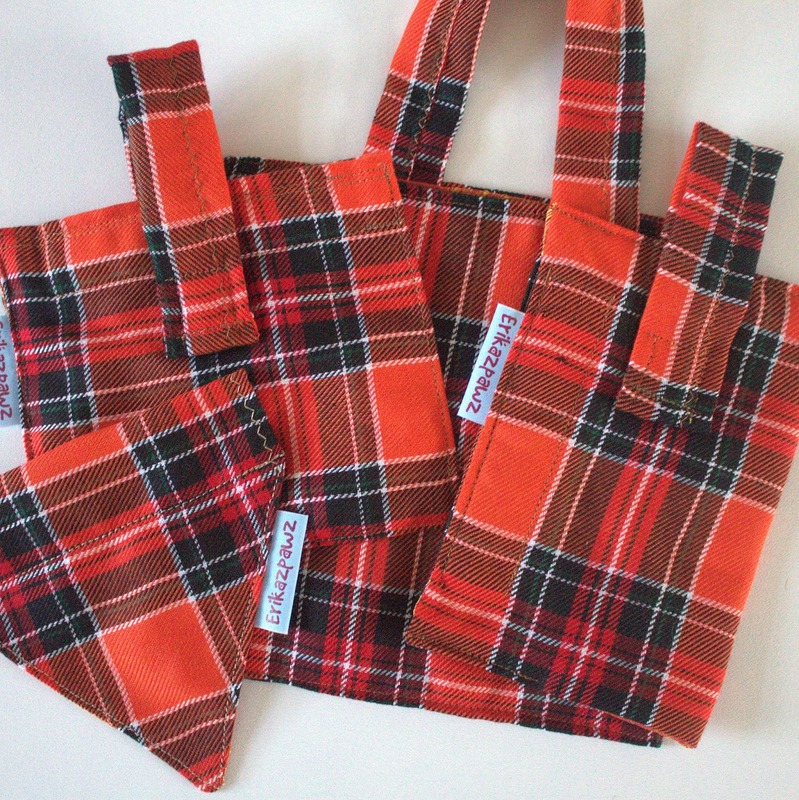 The second is a bag for you to put a full poo bag in, so you can avoid having to carry a loose bag of poop about! This is especially handy if, like me, you have more than one dog... and often more than one bag of poop! Thirdly, we have the treat bag. This closes at the top to keep everything safely inside. 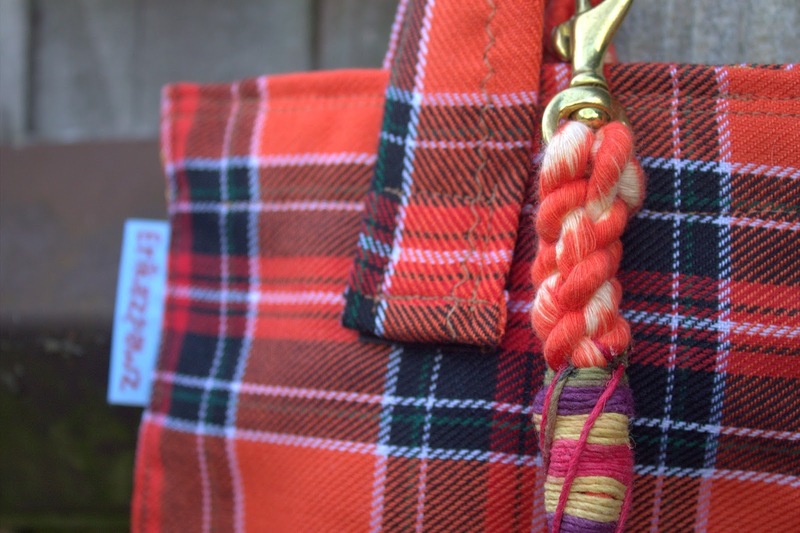 Additionally, each of these bags have a velcro strap, which makes it easy to attach them to your belt loop or lead. To finish the set, there's the matching slide-on bandana. 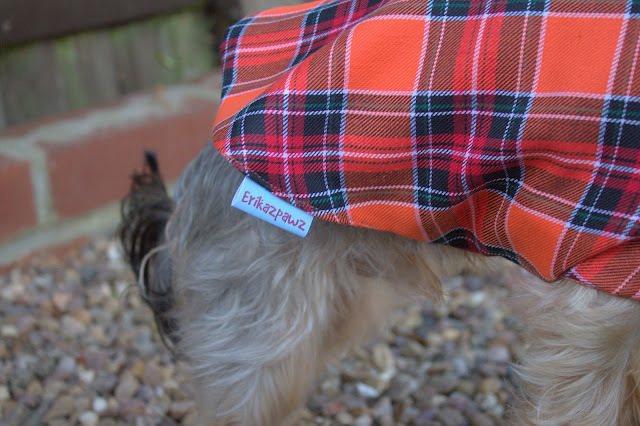 The lining of the bandana actually forms a pocket for you to store a spare poo bag, so you're never caught short! 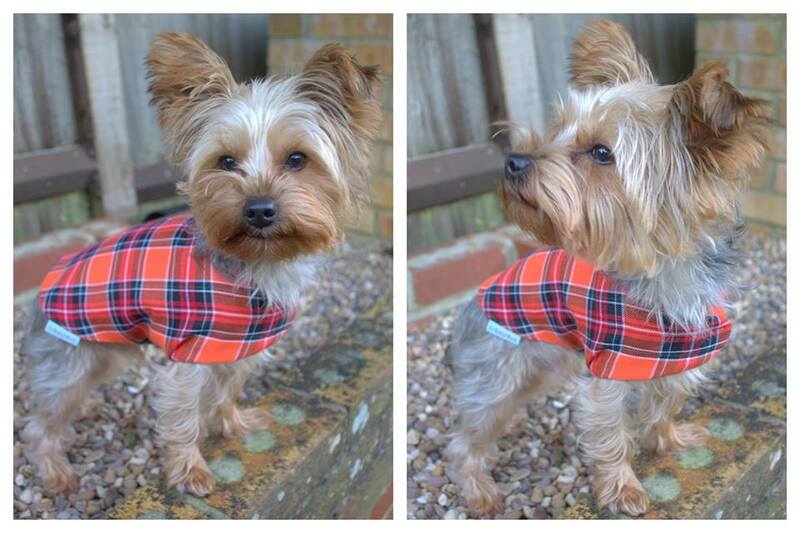 Heather also makes dog pjs, towelling onesies, waterproof coats and much, much more! You can even buy a hat and boot liners to match your walkies set.